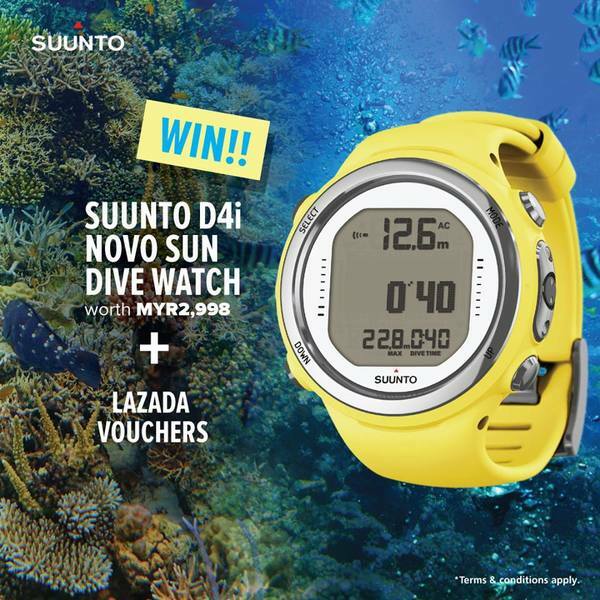 Stand a chance to win Suunto D4i Novo Sun Dive Watch when you make a purchase from 2-8 April 2018 from Suunto Official Store! 😎 RM 100 Lazada vouchers are also up for grabs to 3 lucky users who can answer the questions from the contest post correctly! You can choose to spend and win or answer and win!